To attend any Workshop or Event, all participants must enroll with the School of Remembering first, watch this video for instructions. The knowledge presented in the Awakening the Illuminated Heart workshop is Drunvalo life’s work and in my opinion is one of the most profound teachings on the planet today to assist in Remembering. It’s a blend of both modern and ancient science with complete understanding of human consciousness, a map for the movement to the next dimensional level as well to bring quality to your third density life you live today. It is a profound and yet simple way that is natural and complete. This workshop will show you the Sacred Place where you find who you really are and how to remember and make your way back to the doorway of that Holy Place where All is One. Once this door is opened, life will never be the same. During four days of the workshop you will receive both information and have direct experience, which in the past would take 20-40 years of study, meditation and practice. You will remember and experience your connection to the Mother-Earth and Father-Sky through Unity Breath Meditation; open your heart and enter the Sacred Space and Tiny Space of the Heart; remember your connection to your Higher Self and be able to receive all answers directly from this connection; live happy and successful life from your Heart. You will also experience Universal Love sound healing and the feminine aspect of this knowledge through the Sufi blessing dance meditation, dancing in the dark meditation and The Blue School of Claudette Melchizedek meditations. You will then remember and see the difference between living from Love versus from fear, creating from the heart versus from the brain. Then through the specific steps you will activate the Beams of Light that together with opening of 3rd eye and connecting brain to the heart will activate the halo around your head and naturally activate your light body the Mer-Ka-Ba which will become permanent. You will then know and clearly understand how to create anything you desire from the Tiny Space of the Heart. You will remember that key point to everything you desire is your Illuminated Heart. Remembering is only part of your awakening to the Reality. To move into your Divine Power, to “remember and reclaim collapsing everything in between” you will be given tools for practical applications of ATIH material with Q&A on all aspects of this knowledge. You will be able to integrate into now any emotional blockages, mental patterns and unresolved memories not based on Love. 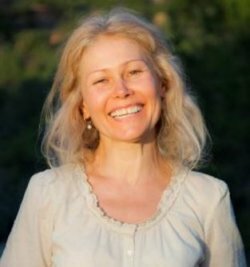 During the workshop you will receive assistance in completely anchoring the ATIH Teachings into your daily life to be in harmony with Mother Earth and entire Universe; in returning fire of happiness into your eyes and hearts, remembering how to live joyfully your daily life now, how to integrate into your present any unresolved childhood memories and how to access your divine power without resistance. You will be given tools to find events, patterns, beliefs that blocking you from living constantly experiencing your natural joy and excitement that are Alpha waves produced by the gland located in your brain; to remember and acknowledge your connection to the genius child that lives inside of you. Knowledge presented at the workshop will assist you in remembering your connection to Higher Self, Inner Child and Loving Adult within you, which consist of Feminine and Masculine Flows. You will remember that you are Powerful Creator, Sovereign Being with 100% free will and how to use this natural birth given right. You will be able to balance and understand relationships with family, partners and with yourself. From my experience in assisting people to open and illuminate their hearts there can be some repeatable patterns in their emotional and mental bodies that can create difficulties in entering the heart. My biggest interest and passion is in returning fire of happiness into people’s eyes and hearts through balance of mental and emotional bodies such as understanding, reliving, integrating or simply “remember and reclaim collapsing everything in between” to move forward and allow Divine expression of Wholeness to step in. So you can truly create life you came here to live. My style is observation and my gift is inviting you to feel what you know and assisting you in making adjustments in real life day to day situations. So you can integrate into now any unresolved memories not based on Love which is the access to your Divine Power. It has been a lifetime research and lifestyle for me. It is not only useful and effective, but big fun and an exciting adventure of making your life different in the way you can choose to live "creating out of nothing"! Today the question is not about will we make it or not, but how and when. Today it is about the quality of our life and the quality of our transition. This workshop will be presented by certified ATIH teacher Iryna Eysmont. It will be my joy and honor to share with you this Great Wisdom. Step 2: Once registered and logged in you can then register for the workshop by clicking on the button The Global Calendar and find my name (Iryna Eysmont) in the search by Teacher drop down menu. Once on my page you will click on the Workshop date that you’d like to attend and register for those dates. or use PayPal option if you have account with PayPal. My PayPal address is i[email protected] Please choose option send money to Friends and Family to avoid additional fees. There are tuition payment plan options which we can discuss through e-mail or phone call. Please call or e-mail me if you have any question about information or payment. I’m looking forward to assist you in any way I can. Thank you for your desire to come and remember this profound knowledge. When we all awaken into our illuminated Heart, we live once again in the state of unconditional Love and know that Love is all there is. First time members attending a Workshop must Enroll first and then log into the system to Register for the actual workshop.